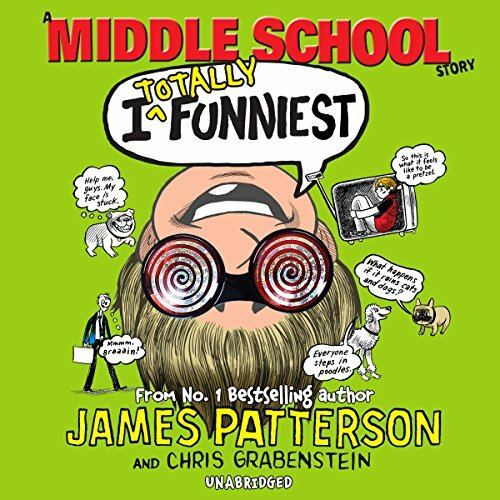 Best-selling authors James Patterson with Chris Grabenstein have delivered a hilarious third unabridged audiobook, I Totally Funniest: A Middle School Story, in the phenomenally popular I Funny series. Young Jamie Grimm’s life has taken a dramatic turn now he’s so close to worldwide fame. His friends are upset he isn’t around as much anymore and his family worry the fame is going to his head. Jamie wonders if they’re right. His worrying starts to effect his fans and everyone seems to be turning away. Listen as Jamie fixes this problem while still aiming to achieve his goals. Available now from Audible. Jamie Grimm is back and better than ever in the third episode of James Patterson's best-selling I Funny series. Finding himself one step closer to his dream of being the best kid comic in the world, Jamie faces his biggest challenge yet. After scoring big on national TV in the semifinals contest, everyone back home is jumping on the Jamie Grimm bandwagon, and all the attention might be going to his head. Not only are his friendships starting to suffer, but the pressure of coming up with his best material ever for the ultimate standup act to snag the final win in Hollywood is pushing Jamie to the brink. Suddenly, life isn't looking very funny anymore. Can Jamie take the grand prize without pushing away his fans, friends and family? ©2015 James Patterson (P)2015 Hachette Audio 2015. Published in the UK by Random House Audiobooks.